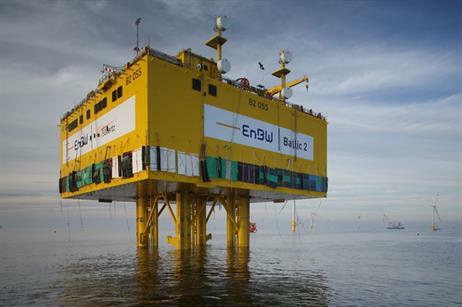 GERMANY: Baltic 2 developer, EnBW, has released pictures of the 288MW project's substation being installed at the site off the coast of Germany. Baltic 2 is located 32 kilometers from the German coast in the Baltic Sea. 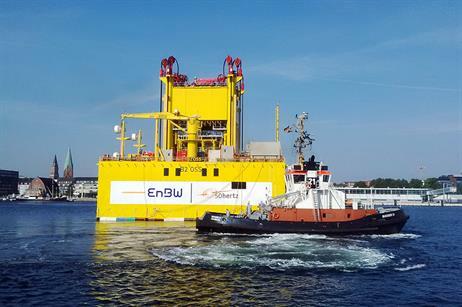 This week, investment firm Macquarie acquired a 49.89% stake in the 288MW Baltic 2 offshore project from EnBW for €720million. According to Macquarie, financial closure on the project is set for June. Construction is currently ongoing with 34 Siemens 3.6MW turbines and the substation installed. Baltic 2 is located 32 kilometers from the German coast in the Baltic Sea. 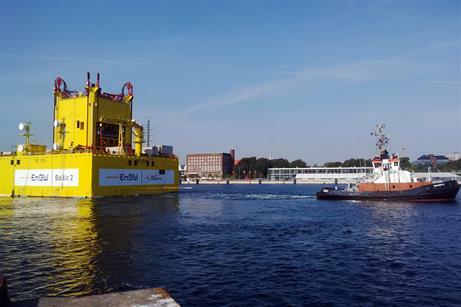 The first power is set to be generated this month, with final project completion due by the spring. The 4,470 tonne platform was positioned and connected at the end of September. A consortium of Alstom Grid and WeserWind were contracted to design and build the substation. Macquarie said the deal would be financed through a combination of equity from Macquarie Capital and debt financing from a number of commercial banks.